Mom and I take Bourbon! My travel bug officially came with me to America in the form of a mother-son road trip to New Orleans. Mother and I left early on Thursday on a spill-all seven-hour bonding car ride. I’m only half kidding. More importantly, there were no fights (although I did plead with her to please drive just a little bit over the speed limit). When booking our trip, even the least expensive hotel in New Orleans’ French Quarter was about $160 a night with tax and all. My mom and I both felt a bit of guilt about spending that much money, especially when I was used to spending absolute maximum $30 for a night abroad, so I decided to look into hostels. I was lucky enough to find a private room at India House Backpackers for only $30 a person per night, adding up to about the cost of one night at the Best Western in the French Quarter. Mom and I arrived at India House at approximately 4:30 in the afternoon, at which point she got really excited about how not-a-dump the hostel was and called at least three people to brag about my travel guide and money saving skills. I was just excited to hear an Australian accent again in the courtyard. I did notice that the hostel had a pretty awesome vibe and layout, with many buildings surrounding a large courtyard. Oh I guess now is a good time to note that the weather was minimum 70 degrees during the day and absolutely perfect, a welcome change to the chillier weather I had been experiencing for the past who-knows-how-long. Oysters Rockefeller at Felix’s Oyster Bar. We put our things down in the hostel and took the street car (taking public transportation was another point of excitement for mother) down to the French Quarter for an early dinner. We were deciding between Acme Oyster House, which was recommended by loads of people, and Felix’s Oyster Bar, which was recommended by my dad. Acme is a little better known, so we headed there first only to find that it was booked for a private party. Felix’s it would be. We sat at the bar and promptly ordered a half dozen raw oysters and a dozen Oysters Rockefeller, which were all gone in a matter of minutes. We made a second order consisting of fried crawfish tails and a half dozen char-grilled oysters. The massive amounts of seafood would be a trend in our New Orleans food-ventures. 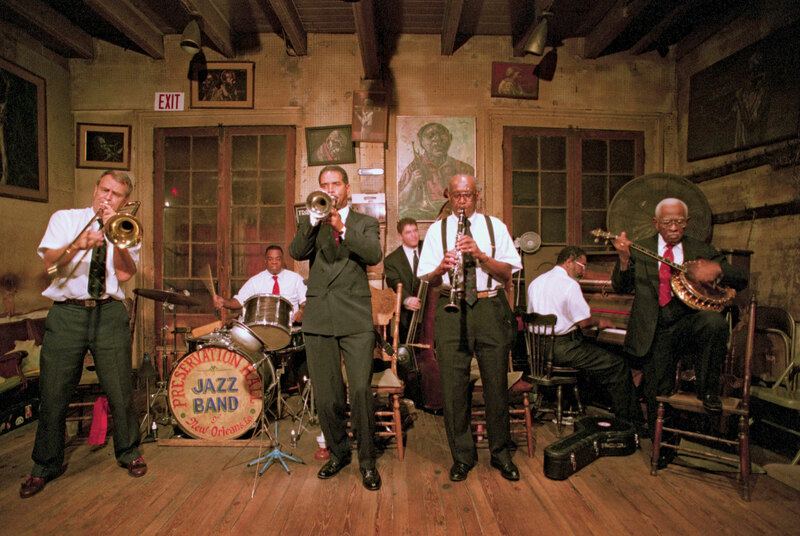 After my stomach couldn’t take another oyster, mom and I headed to the 8pm jazz show at Preservation Hall, a New Orleans must-do. It’s important that you get to the venue at least 30 minutes early – it’s a small place and I ended up sitting up front on the floor. The 45-minute jazz show was a total treat, if not too short, and had me tapping my toes even though I was sitting cross-legged on the floor. My mom thought she’d want to go home after the show, considering we’d had a long day in the car and a big dinner, but we both had a resurgence of energy listening to the brassy sounds of southern jazz. 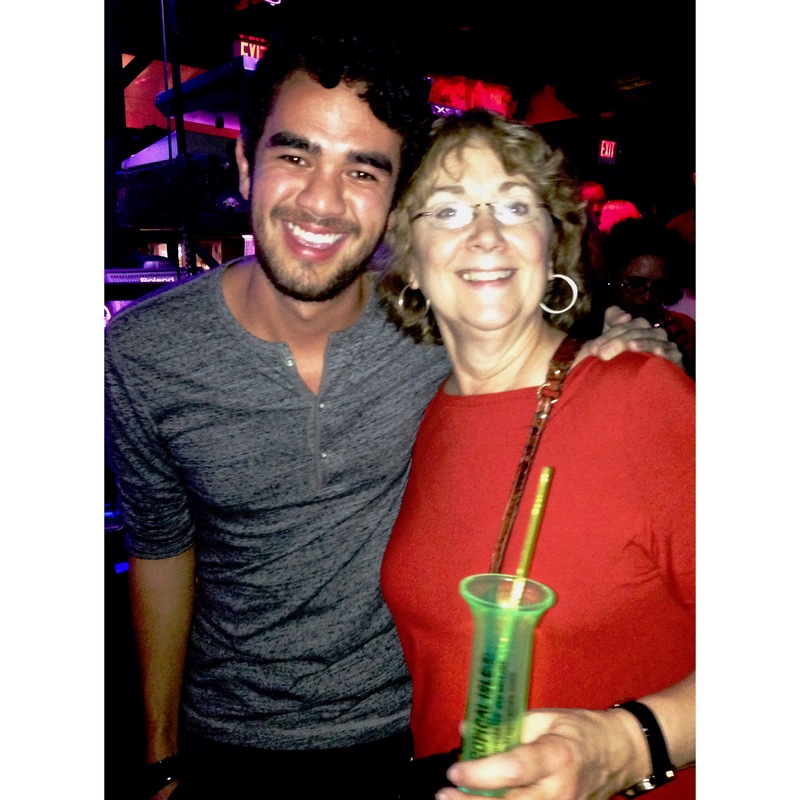 It became clear to me that it would be a good time to check out Bourbon St., mother-son style! 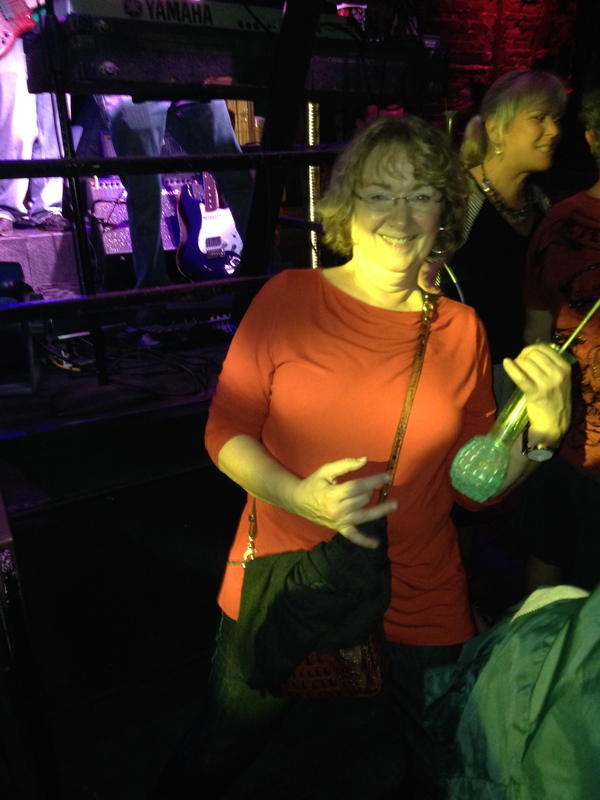 Mom and I had quite a few drinks together, including the notorious NOLA Hand Grenade and her first ever Fireball shot. We caught live music, checked out street bands, listened to some jazz and even went dancing in a club (I take credit for teaching mom the “Cupid Shuffle”). We left at a reasonable midnight – a little late for mom and a little early for me. 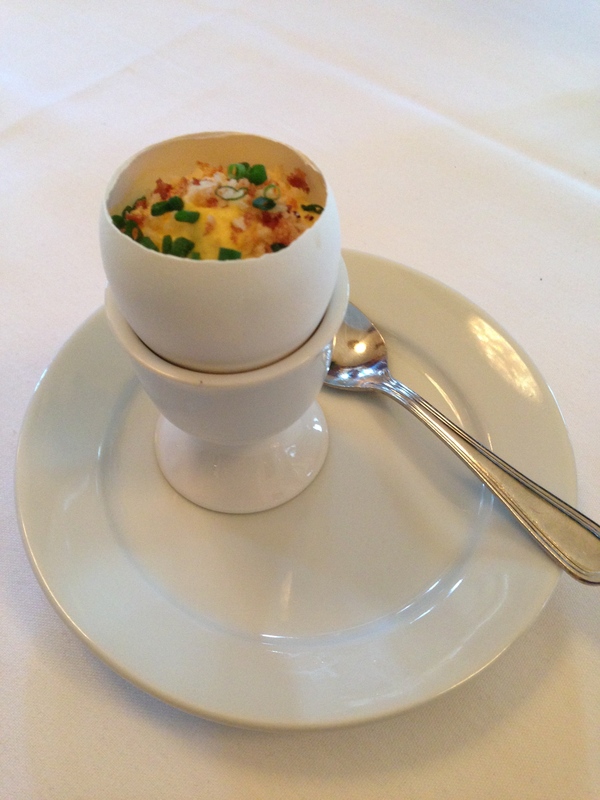 Friday morning, mom and I woke up for lunch at one of famous chef John Besh’s restaurants, August. 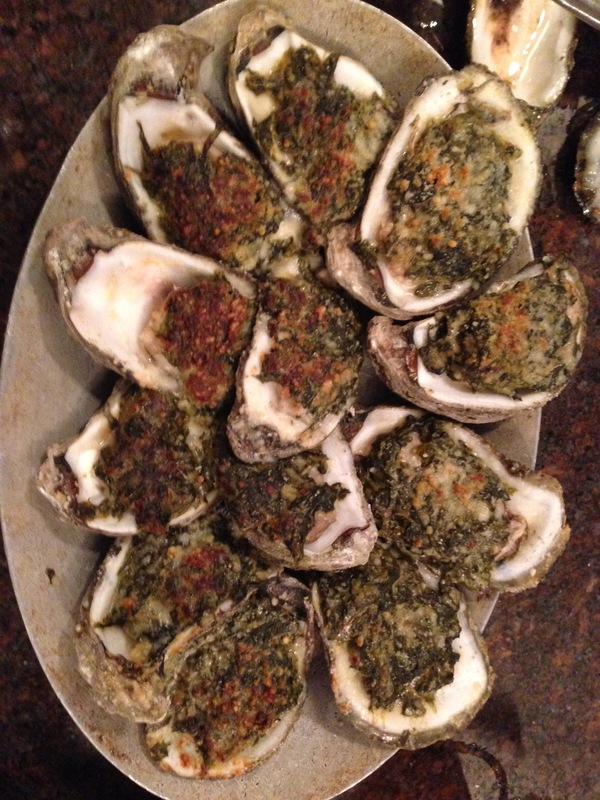 This would be a strong continuation of the incredible New Orleans cuisine we would eat and probably our favorite. The waiter brought us a complementary egg dish that I can only describe as some sort of egg-whip-mousse. It was a fantastic start to our meal. I ordered the $20.15 prix fixe menu (only on Fridays), which is pretty much an unbelievable deal for the caliber of the restaurant. I started with crab bisque, had a fish entrée and finished off with a butterscotch custard. My mom got a cauliflower dish that was unbelievable and we both split the very rich and very small crab and black truffle gnocchi as an appetizer. 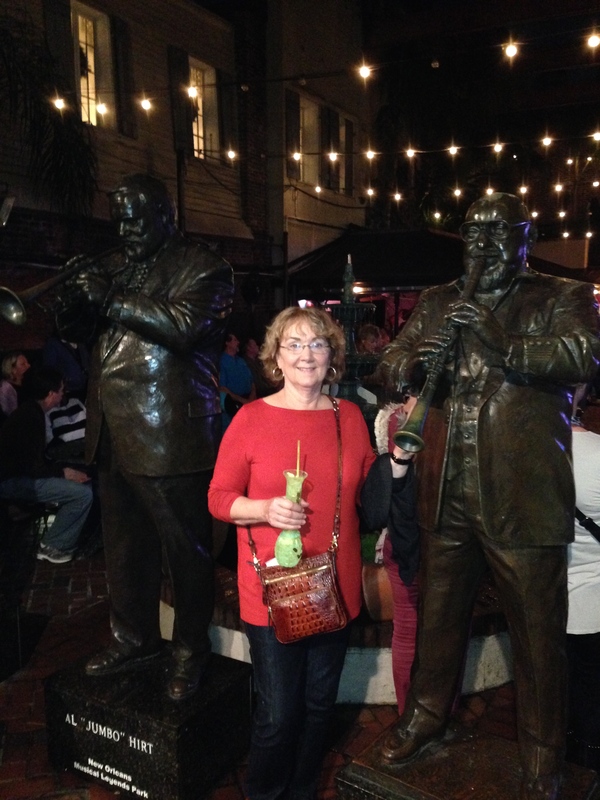 From August, mom and I left to go to the Garden District for a tour with New Orleans Free Tours by Foot. 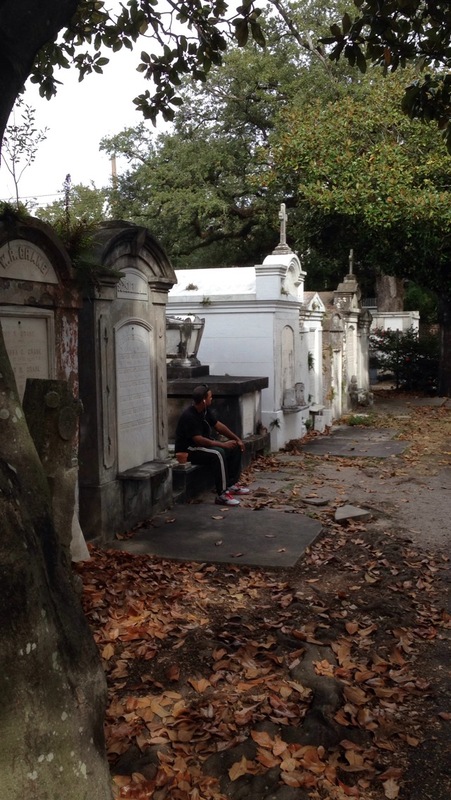 This is pretty much a must-do for any first-time visitors (or even residents) to get a good feel for the area and some interesting New Orleans history. We started in Lafayette Cemetery #1 and made our way through what may be the most beautiful residential area of New Orleans. The group offers a series of other tours, and we regretted not being able to make more of them. 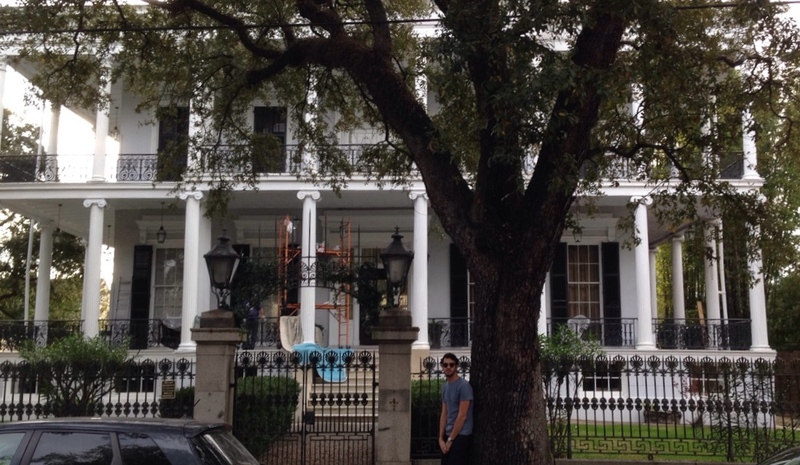 After the tour was over, mom and I strolled an extra couple of blocks to see the building used as Miss Robichaux’s Academy in American Horror Story: Coven. We went back to the French Quarter to get the best pralines in town from Magnolia Praline Company, which made great gifts for our family. Speaking of gifts, some of the best foods in New Orleans can be taken home, such as our new favorite hot sauce, Love Potion No. 9, and olive salad (Central Grocery is famous for its version of the tapenade). We stopped in a bar for a couple of beers, which we were able to finish on the street with New Orleans’s lack of open container laws, and some fried oysters and okra. 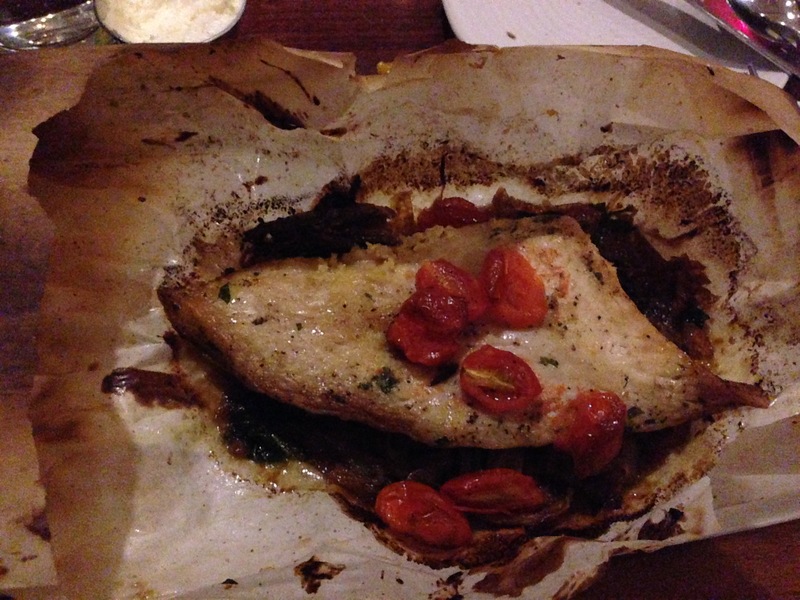 After a short rest at the hostel, mom and I left for another Besh restaurant called Borgne. There was some high school football event going on in the nearby Superdome, so the place was absolutely filled with rowdy football parents, but they cleared out in time for my mom and I to enjoy a conversation that we could actually hear. We ordered the duck poppers for an appetizer; mom ordered a fried oyster wedge salad and I got the fish in a bag and a side of creamed corn. Everything was top notch, so much so that I unfortunately didn’t have room to order dessert. My friend Katie happened to be in town with her sister that night, so I separated from my mom after dinner (she was very proud to be able to find the hostel herself using public transportation – go mom!) 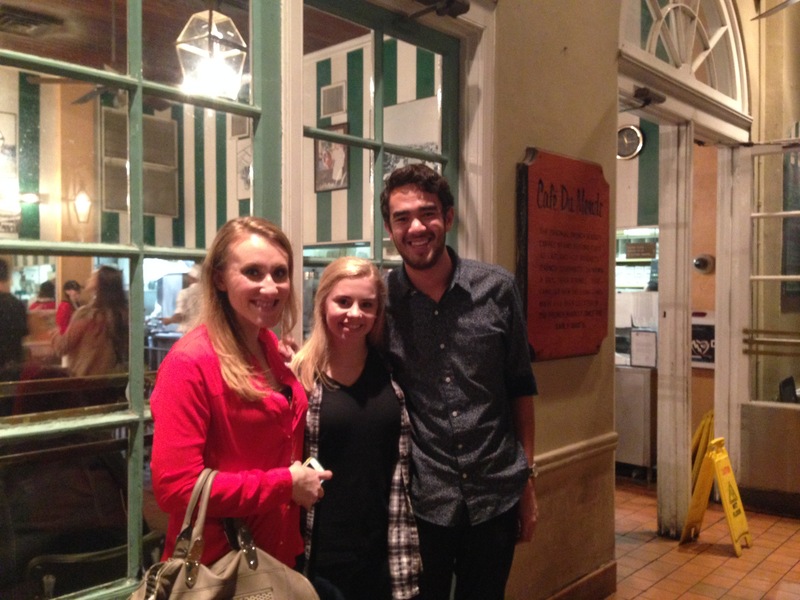 and met Katie at Café du Monde. Mom and I had stopped there briefly on our first night for a café au lait and beignets, and I was too full to eat anything more, but it was great catching up with Katie after a long time and meeting her sister who lives in Louisiana for the first time.